PocketFullOfApps | ‘Word vs Word’ on Sale for Limited Time Only! ‘Word vs Word’ on Sale for Limited Time Only! Word games are loved by many people, which is why Spuzzle is offering its newest iPhone and iPod Touch app Word vs Word free of charge until February 14th. 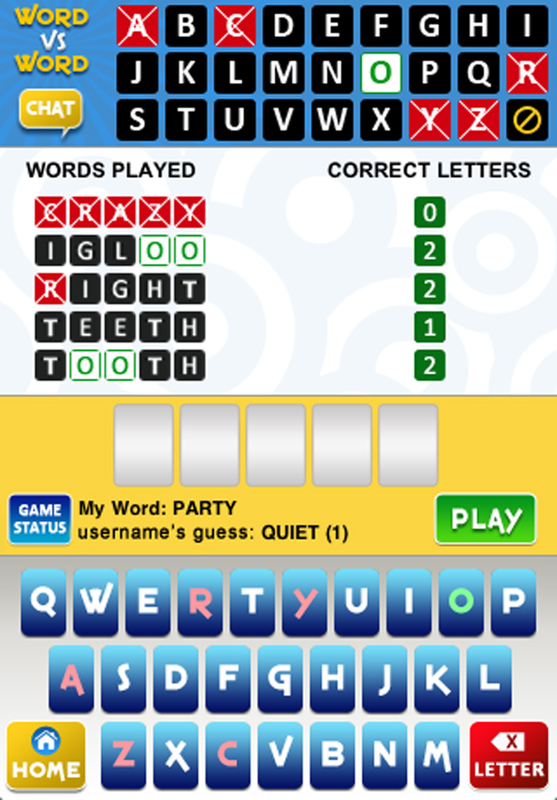 The app is a new social word game with an all-in-one link between a crossword puzzle, hangman and a word search game. In addition, the Word vs Word HD version specifically designed and formatted for the iPad will be 50% off as well. Word vs Word challenges players to uncover a secret word between three and eight letters. Through strategic process of elimination, intuitive selection and a little luck, the winning player reveals the secret word first and is presented with that word’s definition. As educational as it is entertaining, the app provides a social venue for learning new words and definitions. The game offers social interaction with live turn-based play and chat messaging with friends and random opponents or equally challenging solo matches. Word vs Word is an accumulation of all things word game players find addictive, fun and rewarding. Word vs Word for the iPhone and iPod touch can be downloaded for free from the App Store while the iPad version,Word vs Word HD, is 50% off. Enjoy! Entries (RSS) | Comments (RSS) | 87 queries in 0.809 seconds.